Do you want to use the Yoast SEO plugin but it seems overwhelming? Would you like a simple way to implement this plugin yourself so you can increase your chance of ranking well in a Google search? Yoast SEO is a WordPress plugin that will guide you through the process of optimizing your website. 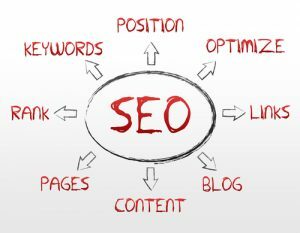 Without it, you could fall for all the good, the bad, and the ugly (and outdated) SEO concepts out there. In essence, you could be doing more harm than good by following the wrong advice. With it, you will be empowered to use SEO best practices, using the most current information, and soon your audience will find you and purchase from you. It helps the search engines, ie Google, discover what your website is all about. Search engines act as an index to the thousands of sites on the internet. When someone searches for something on Google, it quickly looks for and finds the best matches. It’s amazing how fast it works! So the bottom line is that optimizing your site helps Google connect you with everyone out there who is looking for what you have to offer. Why Use Yoast SEO When There Are Other Plugins Available? Yoast SEO is the most popular SEO (Search Engine Optimization) plugin available. It is the most complete WordPress SEO plugin. It enhances your chance of getting more traffic to your site. Yoast SEO uses the visuals of a traffic light to show how well your page or post is optimized. It allows you to add titles, descriptions, and keywords to each post and page of your site that will help the search engines find your site. Other features include readability, which is all about writing so your audience can easily understand what you are saying. I struggled for years because I didn’t have a clue how to improve my rankings on the internet. It all seemed overwhelming. Too much to learn, too much to understand. I got certified in SEO and I still didn’t have the confidence that I could improve my rankings. If trying to get found on the internet is overwhelming, you will most likely not try to do it yourself. You have better things to do with your time than to struggle to learn the ins and outs of search engine optimization. Right? Like running your business. But on the other hand, you may not want to pay hundreds of dollars to have someone else optimize your site. So you installed Yoast SEO, but now what? It takes more than just installing it. I want to simplify the process for you so that your learning curve isn’t steep like mine was. I want you to benefit from what’s I’ve learned along the way. So I created a basic course on Optimizing Your Site Using Yoast SEO. Most people I talk to say they are visual learners, so the course consists of three videos. More than three gets too complicated and isn’t necessary. If I had put everything into one video, it would make it difficult to go back and review a section; you would need to watch the whole thing again, or skip through until you find the right section. If you want more information once you complete these videos, you might be interested in a more in-depth course. Are You Ready to Optimize Your Site Using Yoast SEO? Module One: An introduction to Yoast SEO behind the scenes, including where to find everything you will need. Module Three: Readability Analysis: How easy are your pages and posts to read, and what can you do to optimize them. 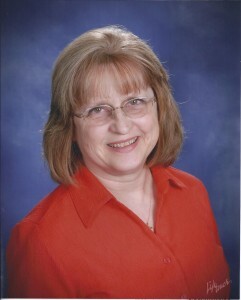 Cheryl has always had an aptitude for organizing and streamlining work flows. She has extensive experience in an office setting and working with people. Cheryl received a Bachelor’s in Foods and Nutrition, but found that it didn’t meet the call on her life. She married and raised two sons and then went back to school … just to learn how to troubleshoot her computer. Cheryl ended up falling in love with her software and web design classes. She went on to earn an Associate’s Degree in 2005 in Computer Information Systems and began developing websites. She loves working jigsaw puzzles and solving problems, both useful in the world of web development.